Have you tried any baking with almond flour? No, I haven’t, but I would like to try it sometime, Dawn! These are delightful and sound delicious! Lemon glazed for sure! 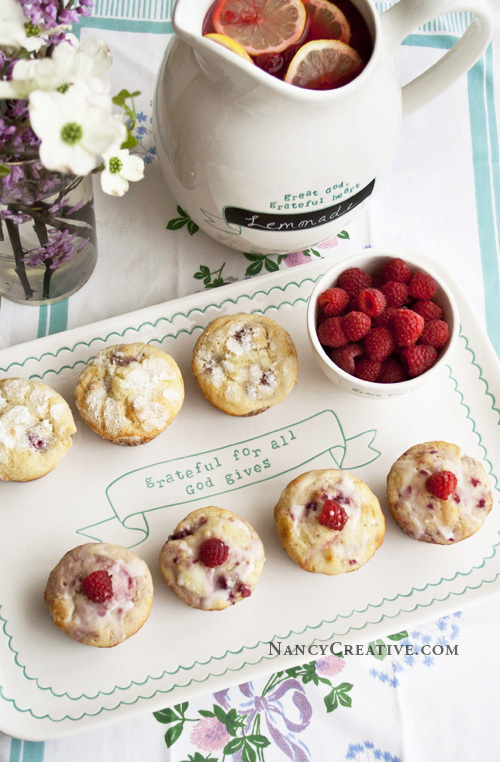 Gorgeous muffins and love your new serving dish and platter. 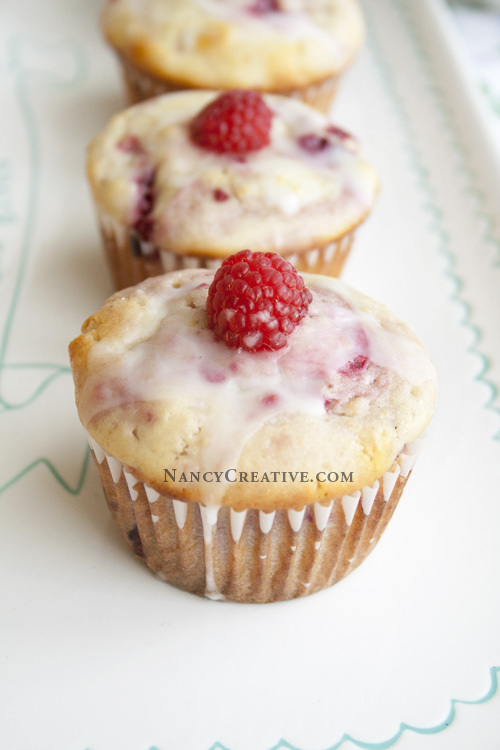 Lemon and raspberries are a perfect combo! They look delicious! I have been loving lemon in all my foods. It’s such a bright accent to just about anything! These look heavenly!! Great flavor combo! The muffins look delicious, I love lemon flavoured cakes and muffins, will have to give these a try. Beautiful post, Nancy. 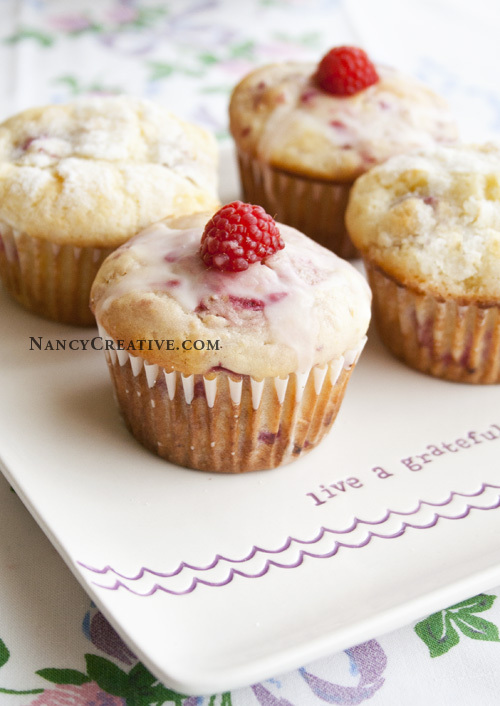 I especially love the shot of the raspberries! I think I’ll have to go for the glazed ones since I am a sucker for anything with icing on it! Gorgeous, and so tasty looking. 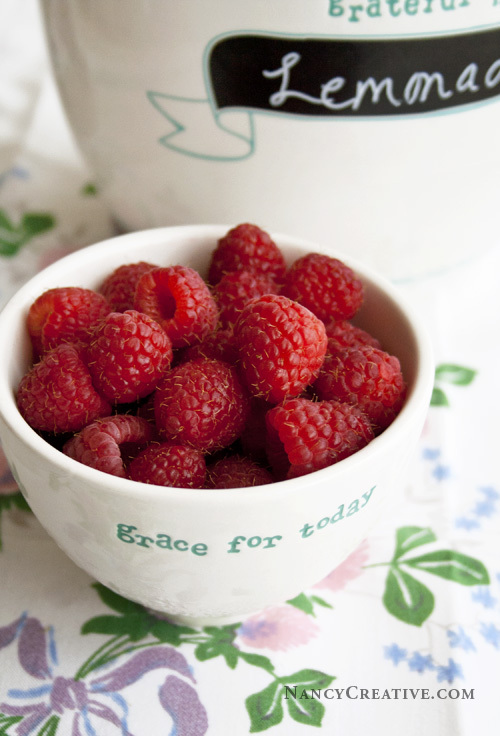 What is it with berries and lemons being a match made in heaven? 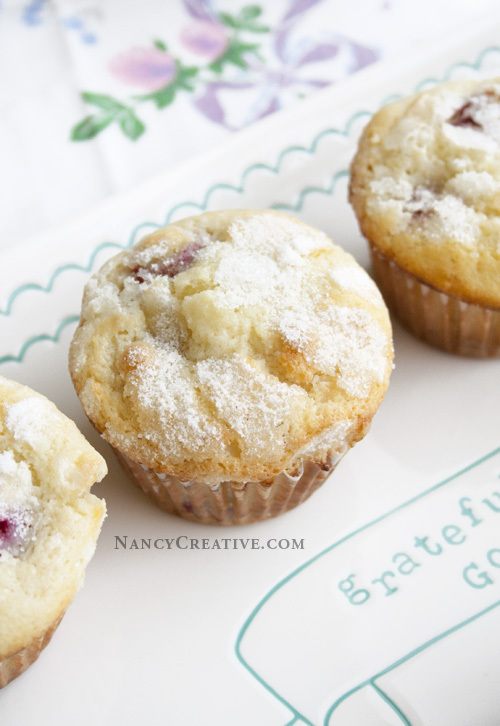 I love the combination for your delicious Muffins. Hope you are having a great weekend and thanks so much for sharing your awesome recipe with Full Plate Thursday. Thanks so much for joining Wow last week. These will be featured tomorrow night.